It's been a while since my last post. Nothing much has happened except that I've been working really hard at the office so I could finish a project before I left for my vacation. What did I say? Vacation? Yes! 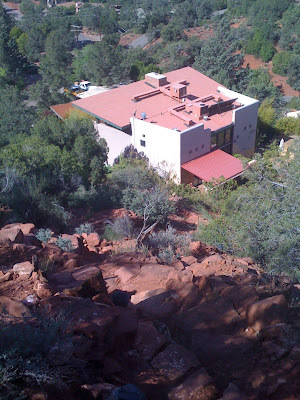 I am currently in Sedona, Arizona, living the good life. My wife and I are renting a house here for the next two weeks. The house is really nice. It's actually quite amazing. We plan on daily hikes and a few day trips. 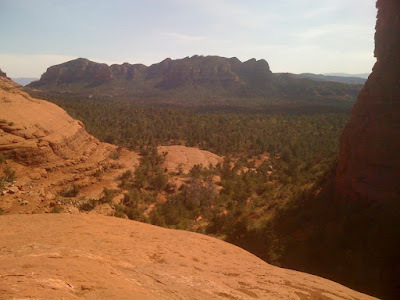 I, of course, also plan on as many trail runs as I can, without burning myself out less than 4 weeks before my 50 miler. 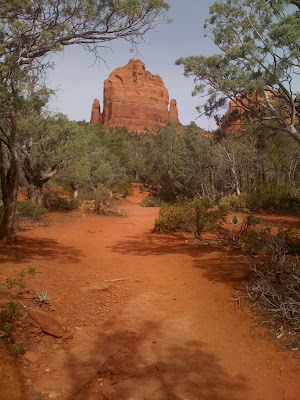 There is an amazing trail system around Sedona. The views are just ridiculous. The trails can be challenging, with a lot of steep climbs and descents. I've already gone on 2 runs, a challenging 20km run on Sunday and a shorter but very hilly 11km run today. Put that on top of daily hikes and that's a lot of work. I won't lie to you, my right Achilles is a bit tender, but it's holding on. I'm trying to be reasonable but running in this environment is just fantastic. I fill my Nathan hydration vest, put my trail shoes on, stick a few gels/Cliff bars in the pack's pockets and I just run. On Sunday, I started my run about 3:00pm and I kept running for about 1.5 hours before turning back. I wasn't too sure at what time the sun went down, specially in the bottom of the canyons where I was running. Of course, I got lost on the way back and I started kicking myself because I didn't have a head lamp. My Garmin 305 saved my bacon. I went into navigation mode, hit "Take me home" and saw that I was pretty close to the trail I was looking for. I love that thing. Today I bought a Petz head lamp and I stuck it in my Nathan pack. Well that's it for now. Hope everyone's running is going well.